I was interviewed to provide tips for healthy eating with children for Kids Eat Right Month. 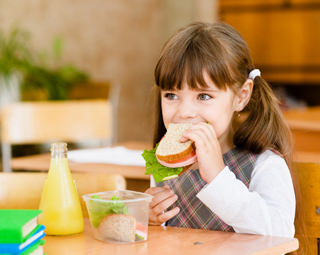 For more information on how to give your kids a healthy start, here are 8 Healthy Lunch Ideas, using MyPlate to build a healthy school lunches, and tips for teaching your kids about fueling themselves in a healthy way with meals and snacks. Stay tuned all this month for more on healthy eating and Kids Eat Right Month. For more recipes, encouragement, and tips for healthy eating, follow me on Pinterest, Instagram, and Twitter.